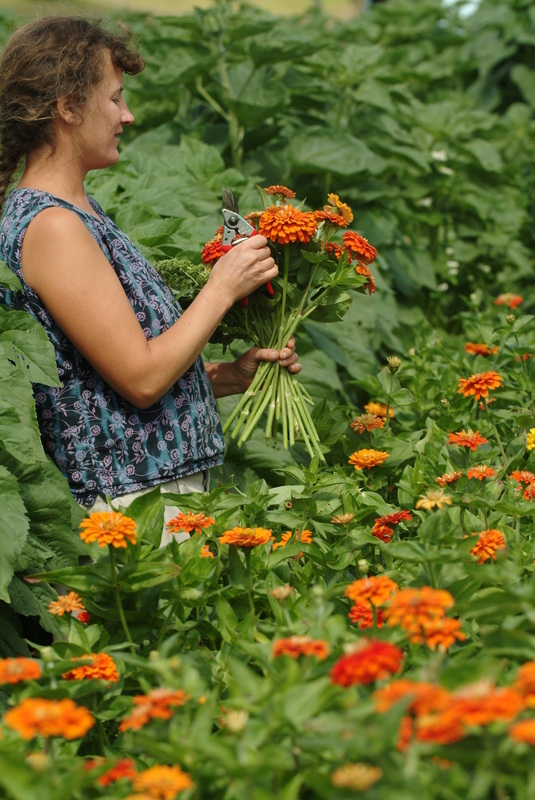 We offer weekly and every other week shares of beautiful cut flowers to accompany your vegetable share. Feed your soul! Flower shares are bold, beautiful, funky and smell amazing. 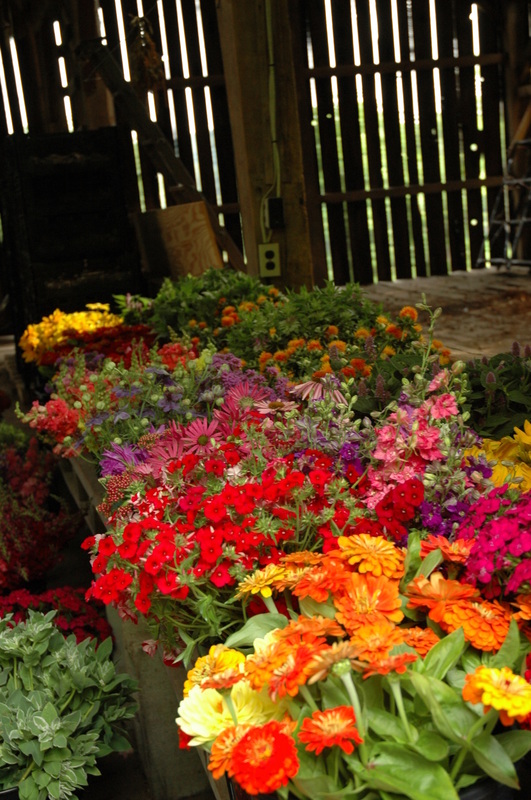 Liven up your space and treat yourself to a seasonal feast of fresh flowers. Flower season usually begins early June and ends with the frost. Flower shares can only be combined with a summer vegetable/herb share. 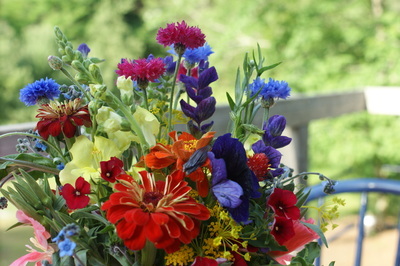 Our bouquets are for sale during the summer season from mid june into late september at many local grocery stores. In Leelanau find our flowers at the Leland Mercantile, Hansens in Suttons Bay and Andersons IGA in Glen Arbor. In TC you can find meadowlark bouquets at Burritts and Oryana. Delivery days are Tuesday and Friday.